It’s always a sound choice to follow the current web design trends. Websites need to show that they’re keeping up with the times, and doing the things they can do to become more visually appealing to its visitors. It also helps to adopt the latest functionality norms, because the better your website works, the better the user experience will be. And user experience is one of the main things that will make your website’s visitors come back again. But following trends isn’t always easy. They can change too quickly, causing you to allocate valuable resources to stay on top of the latest developments. Luckily, web design trends don’t change that drastically and quickly. Still, if you’re planning to build a new website next year, or improve the existing one, here are some web design trends you might want to incorporate. If there’s one web design trend that might cause you to perform an unscheduled redesign of your website its web-friendliness. You simply have no excuses to have a website that’s not mobile-friendly in 2018. Not doing it will cause you to miss a world of opportunity. 2018 is the year when you want to have a mobile-friendly website because Google will roll out an update that will even more emphasis on mobile versions of websites. And you should take a good, long look at how quickly your website loads on mobile devices. If there’s room for improvement — and there usually is — do something about it. You cannot afford to not take mobile into account anymore. In the past six or seven years, flat design was all the rage. Designers have moved away from trying to give depth to their design, and everything started to look predictably flat. There were no shadows, and color gradients fell out of favor. Well, now the tides are turning. We’ll see a comeback of shadows in 2018, and we’ll see color gradients back on the stage as well. They won’t be used in exactly the same way they were before, and the design will retain some of its flatness. 2018 will be the year of semi-flat web design. Muted colors worked very well with flat website design. 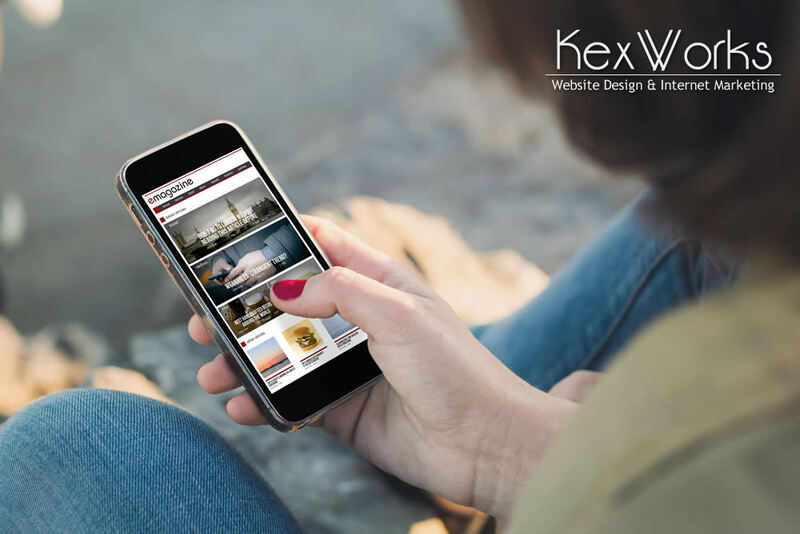 However, due to the fact that web browsing is increasingly moving over to mobile devices, there’s a need to have the most important elements on a web page stand out and be visible even on a very small screen. One of the ways you can achieve that is by unmuting the colors. Let them be bright and bold, let them attract attention. Of course, that doesn’t mean you should create websites that will burn people’s retinas. But using highly visible colors to accentuate the most important elements on your website is a good strategy. Attention-grabbing visuals will be the theme for 2018. In the world of fonts, that means custom-made fonts with a letter that are dripping, missing parts, falling apart, or simply handwritten. Another trend for fonts will be mixing serif and sans-serif fonts, as well as different complementary fonts. Mixing and matching fonts should be done with care, so you can’t put just any two random fonts together. But people who have an eye for fonts will have more room to experiment. If fonts can get customized, why not do the same with illustrations? Instead of opting for stock images, you should have illustrations tailor-made to fit your website and its content. You will need a way to set your website apart from the competition, and custom illustration will contribute to it.